Without some degree of intestinal fortitude, the recent announcements from the Centers for Medicare and Medicaid Services (CMS) could cause you to replace your cup of steaming morning joe with an icy cup of Pepto Bismol. A stream of reports from the government agency involving slashed federal funding, reductions in Medicaid payments, the discovery of widely varying hospital charges for similar services, and the potential for more uninsured patients heading toward hospitals and physician practices. It was almost too much uncertainty to take in one week. Here are the details. CMS holds the federal funds that help hospitals meet uncompensated care costs. Now the agency has to cut billions of those funds and that means that hospitals may have to cut the number of Medicaid patients they see. They may also have to sidewalk programs and new initiatives designed to improving care for those patients. It’s not a random act. According to Modern Healthcare, “The agency is following through on an Affordable Care Act requirement to cut Medicaid disproportionate-share hospital payments by $43 billion from fiscal 2018 through 2025.” The cuts will begin on October 1st. Some areas like Texas will be hard hit. The state could reportedly lose 14%, or $148 million, of its DSH funds. For hospitals whose patient population is mostly Medicaid patients, that could be a devastating blow. Doctors are under increased pressure to meet heightened federal requirements and if they don’t they are going to lose money. A recent CMS announcement impacted Advanced Alternative Payment Methods, a subset of Alternative Payment Models (APM) that reward providers who deliver high-quality, cost-efficient care and take on risk related to patient outcomes. 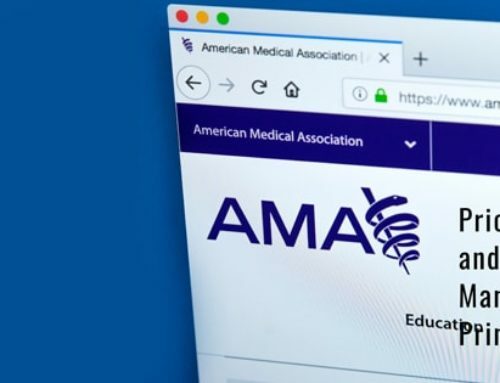 Those rewards changed last month (August) and providers who didn’t meet certain new requirements established by MACRA’s Quality Payment Program were being penalized. Providers who didn’t meet the new thresholds required to qualify for the Advanced APM track of the MACRA Quality Payment Program by the end of last month were moved into the Merit-based Incentive Payment Program for the 2017 performance year. That’s a demotion and it will reduce their Medicare payments in 2019. News like this highlights the critical need for physician practices to have their business “house” in order. Changing federal requirements and regulatory hoops can rattle the revenue stream. Smart, streamlined accounts receivable and denials management along with advanced billing and coding platforms are the only assurance you have that your base revenue is safe and solid. CMS is in it fourth year of its review program to “keep hospitals more accountable”. As part of that effort CMS released this week, its Medicare claims and payment data on 3,000 hospitals across the country. It revealed wide variations in hospital charges for the same inpatient and outpatient services and wide reimbursements as well, both of which CMS is trying to remedy. One report shows that Chickasaw Nation Medical Center in Ada, Oklahoma, charged on average $7,492 for joint replacements —the lowest-charging hospital in the data set for the procedure —compared with $235,132 at Memorial Hospital of Salem (N.J.) County, the highest-charging hospital in the data set for that procedure. CMS is going to continue working to remedy this situation and bring charges more in line with one another across the country. As they look at the data and request information on charges from providers, it’s important that you properly preauthorize the charges coming out of your practice. Advanced platforms for preauthorization and insurance verification vet your charges before they become RAC audit recoveries that have the potential to gut your revenue. The Affordable Care Act hasn’t been repealed but certain provisions of it are being stripped. The CMS announced last week that it will spend $10 million on marketing and outreach to promote the open enrollment period and reach people who need insurance, compared to the $100 million spend last year. Funding is also being cut for the staff who helped people enroll in the ACA, called “navigators” and the enrollment period has been shortened. Without the extensive publicity campaigns launched by the previous administration, some people will most likely miss the enrollment period, their insurance will lapse and they will not be able to re-enroll until the following year. Certainly, these newly uninsured will still seek health care and it may be at your door. Slashing of funds and cuts to reimbursement are bound to continue. Uncertainty in federal policies will continue to be the norm. However, you can implement a degree of certainty in the business of running your practice. Experienced healthcare revenue cycle management (RCM) specialists and cloud-based software tools can increase revenue, and improve cash flow by up to 32 percent. It’s the closest you can get to certainty in very, very uncertain times.